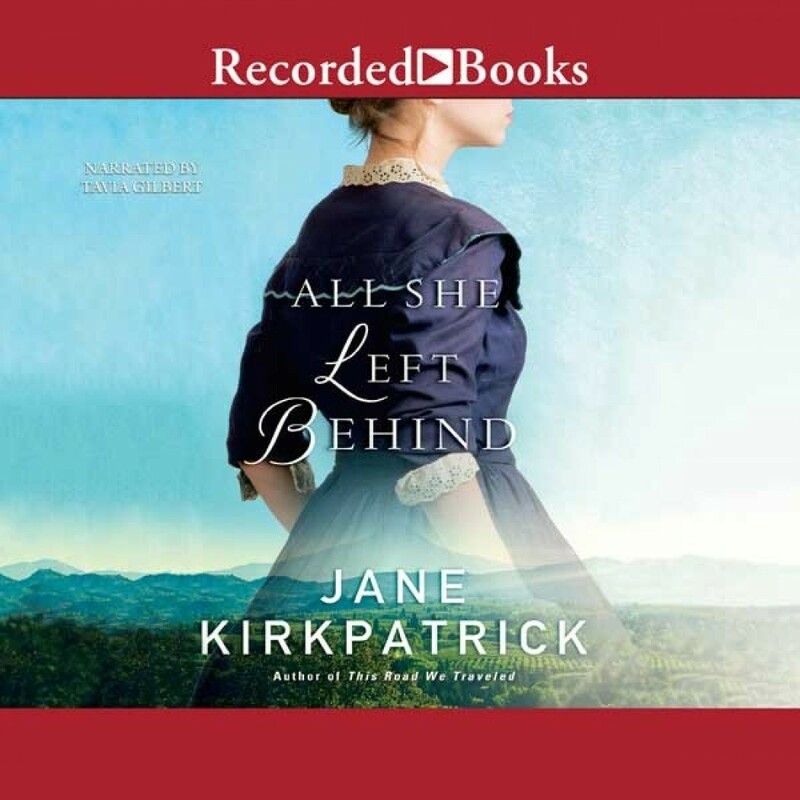 All She Left Behind | Jane Kirkpatrick | Audiobook Download - Christian audiobooks. Try us free. Jennie Pickett is a natural healer, but her dreams to become a doctor in 1870s Oregon put her at odds with the world around her. As she struggles to keep her dream alive, she finds that the road to fulfillment winds past love, heartache, and plenty of surprises along the way. Already well-versed in the natural healing properties of herbs and oils, Jennie Pickett longs to become a doctor. But the Oregon frontier of the 1870s doesn't approve of such innovations as women attending medical school. To leave grief and guilt behind, as well as support herself and her challenging young son, Jennie cares for an elderly woman using skills she's developed on her own. When her patient dies, Jennie discovers that her heart has become entangled with the woman's widowed husband, a man many years her senior. Their unlikely romance may lead her to her ultimate goal--but the road will be winding and the way forward will not always be clear. Will Jennie find shelter in life's storms? Will she discover where healing truly lives? Through her award-winning, layered storytelling, New York Times bestselling author Jane Kirkpatrick invites readers to leave behind their preconceived notions about love and life as they, along with Jennie, discover that dreams may be deferred--but they never really die. Based on a true story.